Andrew Burke was born in New York City in 1850, was orphaned at age four and became a ward to the Children’s Aid Society. He became one of the thousands of children who, beginning in the 1850s, were placed on “orphan trains” bound for new lives with farm families in the West. A family near Noblesville, Ind., adopted Burke in 1859. At age 12, Burke enlisted as a drummer boy with the 75th Indiana Infantry. Following the Civil War, he attended Indiana Asbury College (now Depauw University) in Greencastle, Ind. Burke worked jobs in Indiana, Ohio and Minnesota, and in 1880 he and his wife, Caroline, arrived in Casselton, Dakota Territory, with only $65. He worked as a bookkeeper before becoming a cashier with First National Bank, Casselton. Burke entered public service as the treasurer of Cass County, a position he held for three terms (six years). On Nov. 4, 1890, he was elected governor by a popular vote. During Burke’s administration, it was discovered that North Dakota did not have laws for the selection of presidential electors, and he called a special session to ensure that the state could participate in the 1892 elections. Burke lost favor with farmers when he vetoed a bill that would have forced railroads to lease sites near the tracks for building grain elevators and warehouses under conditions that were not acceptable to the railroads. During his term, the Normal Schools at Valley City and Mayville were established and Fargo became the site of the state’s Agricultural College (now North Dakota State University). He was defeated in the gubernatorial race of 1892 and left the state a year later. William “Wild Bill” Langer spent his early years on a farm in Everest Township, North Dakota. His family later moved to Casselton, where Langer was the valedictorian of his 1904 Casselton High School class. He earned a bachelor of laws degree from the University of North Dakota, Grand Forks, but was too young to practice law. He continued his undergraduate education at Columbia in New York, where he graduated at the top of his class in 1910. He was offered a position at a prominent New York law firm, but decided to return to North Dakota, where he practiced law in Mandan. By the time he was elected governor in 1932, North Dakota was in dire economic straits. Langer issued moratoriums on foreclosures of farms and issued an embargo on wheat so it couldn’t be shipped out of the state. After 15 months in office he was indicted by a federal grand jury for his policy of collecting 5 percent of administration employees’ salary for political purposes, was sentenced and removed from office. While he was in prison, his wife, Lydia, was drafted to run for governor but was narrowly defeated. By the 1936 election, Langer had been acquitted of the felony charge and was again elected governor. He ran for the U.S. Senate as an independent in 1938 and lost, but two years later was elected to the U.S. Senate. Following the merger of the Non-Partisan League with the state Democratic Party in 1956, Langer remained on the Republican ticket and won in 1958 without making a single campaign appearance in the state. He died in Washington, D.C.
Bill Guy was born in Devils Lake, N.D. and grew up on a farm near Amenia N.D. He earned his bachelor of science degree from North Dakota Agricultural College (NDAC), then served in the U.S. Navy in World War II. He received a master’s degree from the University of Minnesota, then became the assistant county agent for Cass County. Guy and his wife, Jean, began farming near Amenia in 1948, and he taught at NDAC during the winter quarters. Guy served in the North Dakota House of Representatives for one term, 1959-1961, and was the assistant minority leader. He was elected governor on the Democratic Non-Partisan League ticket, and went on to serve two two-year terms and two four-year terms. Guy modernized state government by implementing the new Office of Management and Budget, and during his terms the State Hospital’s patient load was reduced by 2,000 patients. The interstate highway system, 350 Minuteman missiles and Garrison Diversion were large federal projects that came to the state while he was in office. He also was instrumental in bringing three sugar beet refineries and large scale coal-fired electrical generation to the state. Guy organized the five-state Old West Trail Tourist Loop, and the concept of an interpretive North Dakota Heritage Center started with him. He also established the Theodore Roosevelt Rough Rider Award as North Dakota’s highest recognition. In 1962, Guy organized and served as the first chair of the Midwest Governor’s Conference, and in 1966 he was elected chair of the National Governor’s Conference. After serving as governor, he and his wife moved to Casselton. He was an unsuccessful candidate for the U.S. Senate in 1974. George Sinner was born in Fargo and raised in Casselton. In 1946 he graduated from Saint John’s Preparatory School, a college prep boarding school in Collegeville, Minn,. and in 1950, he earned a degree in philosophy from St. John’s University, Collegeville. He served in the U.S. Air Force ? ?wikipedia says U.S. Air National Guard?? from 1951 to 1952. Following his service, he became a partner in the Sinner Brothers and Bresnahan diversified farm at Casselton. Sinner began his political career in the late 1950s. He was elected to the N.D. Senate in 1962 on the Democratic Nonpartisan League ticket, served one four-year term and lost his re-election bid. During that time, he lost a race for the U.S. House of Representatives. Sinner was president of the Red River Valley Sugarbeet Growers Association Board from 1975 to 1979. During that time, he chaired an ad hoc farm commodity group which was responsible for funding and construction of the greenhouse complex and the Northern Crops Institute at North Dakota State University (NDSU). He also served on a variety of professional, educational and civic boards, including the N.D. Board of Higher Education, the N.D. Public Broadcasting Council, the Greater North Dakota Association board, the N.D. American Soybean Association, N.D. Farmers’ Union and the N.D. Farm Bureau. During his time on the State Board of Higher Education, he helped craft the “Tri-College” system, a consortium of NDSU, Minnesota State University Moorhead and Concordia College, Moorhead. This program allows students attending one of the schools to take classes not offered there at one of the other universities. Sinner became North Dakota’s governor in 1985 and served two four-year terms. During his administration, there was a farm crisis in North Dakota caused by the worst droughts since the Great Depression and the state celebrated its centennial. There was some reorganization in state government, particularly in the Economic Development Commission. Sinner served as co-chair of the US-Canada Task Force of the National Governor’s Association and chair of the Association’s Committee on Agriculture and Rural Development. 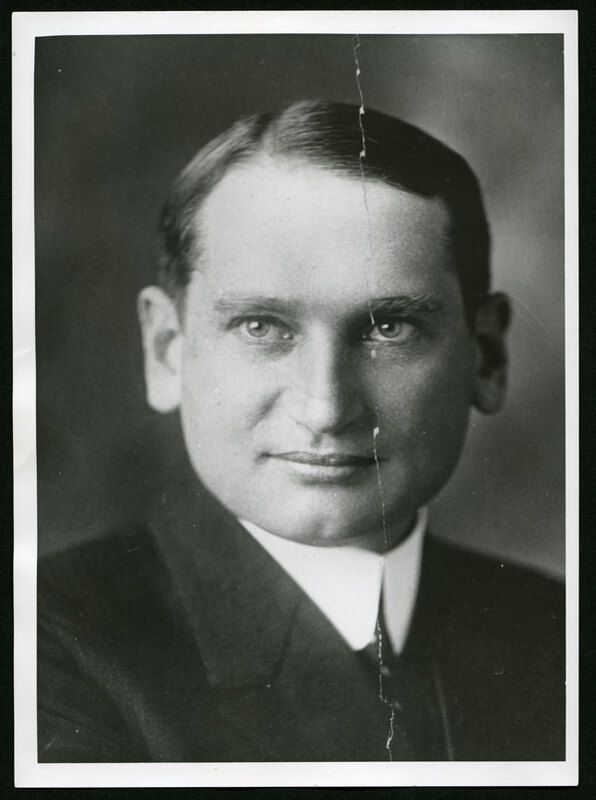 Following his second term as North Dakota governor, Sinner served as vice president of public and government relations for the Crystal Sugar Company, Moorhead, Minn. Throughout his career, he remained active in his farming operation near Casselton. Sinner has received honorary doctorate degrees from NDSU, the University of North Dakota and his alma mater, St. John’s University. John “Jack” Dalrymple was sworn in as North Dakota’s 32nd governor on Dec. 7, 2010. As the state’s governor, he worked to grow and diversify North Dakota’s economy and create good jobs and economic opportunities for its citizens. He remained committed to managing the state with fiscal responsibility and placed a new emphasis on infrastructure improvements and energy development. He brought to the office an outstanding record of farming, business, legislative and executive leadership. Dalrymple was born on Oct. 16, 1948 and grew up near Casselton on the family farm, which was established in 1875 by his great-grandfather. He graduated with honors from Yale University in 1970 with a bachelor’s degree in American studies, and then returned to North Dakota to manage the farming operations. Dalrymple became active in the community, serving on the Casselton Job Development Authority and helping to establish Share House, Inc., a Fargo residential treatment program for recovering alcoholics and drug dependents. Dalrymple was elected in 1985 represent a rural Cass County district in the North Dakota House of Representatives. He served eight terms, including six years as chairman of the House Appropriations Committee. In 2000, he was elected North Dakota’s 35th lieutenant governor with Gov. John Hoeven, and he was re-elected in 2004 and 2008. Dalrymple has been a nationally recognized leader in value-added agriculture. He was the founding board chairman of Carrington-based Dakota Growers Pasta Company, the third-largest manufacturer and marketer of dry pasta products in North America. His work in helping to found the company earned him the 2007 Ernst and Young Midwest “Master Entrepreneur of the Year” Award. Dalrymple served as chair of the North Dakota Trade Office and the Governor’s Commission on Education Improvement. Dalrymple and his wife, Betsy, have four daughters.